The drive through Limbang is easy, but be wary of the highlighted road in the town. In July, my wife and I wanted to fly to Krabi to just chill out. However, ticket prices were soaring, and in a beat of a moment, both of us had this crazy idea to spend Raya by going up to KK and back within a space of four days. I extended the journey to the Kudat, so that I could visit the Tip of Borneo (Will be explained in Pt 2 because the whole trip deserves more coverage), which is quite a distance from the nearest airport. So that is basically how we got another two friends, which are equally ‘crazy’, to go on this one of a lifetime trip through the Malaysian Borneo, with Brunei standing tall in between. Of course before our trip, we had to do some research, and with both of us already having reaching Limbang by road, we thought a 24 hour journey with driver changing in between would make the whole trip possible. Reviews also seem to suggest that it could be done with many doing reviews when the road was still pretty much quite bad. That said, we figured that road conditions had improved, and travel time from Kuching to Kota Kinabalu (KK) would be shortened. It was quite a surprise that my car only drank up about two bars of fuel upon reaching Jakar because I do remember driving up to Bintulu with my tank almost close to empty. Knowing however that all other petrol stations (In Sarikei and Sibu) are not within the main road, I decided to refuel anyway so that we could cruise straight to Bintulu, which will make our journey faster. After refueling, we took time to order ‘Mi Udang’ at Jakar as it is one of the most popular dishes here (And good too! ), but due to us being too early, the prawns for the mee were rather small. 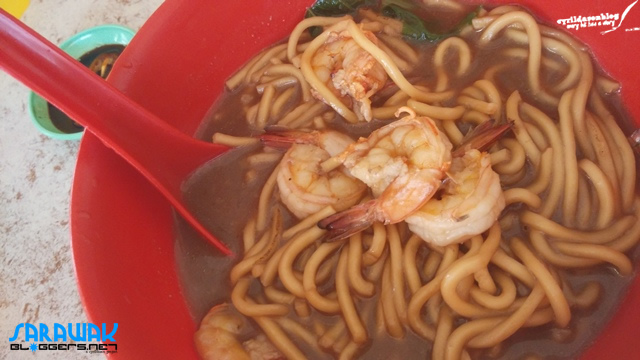 Famed Mi Udang aka Prawn Mee in Jakar. If you go to Peking restaurant, you’d get Tiger prawns! 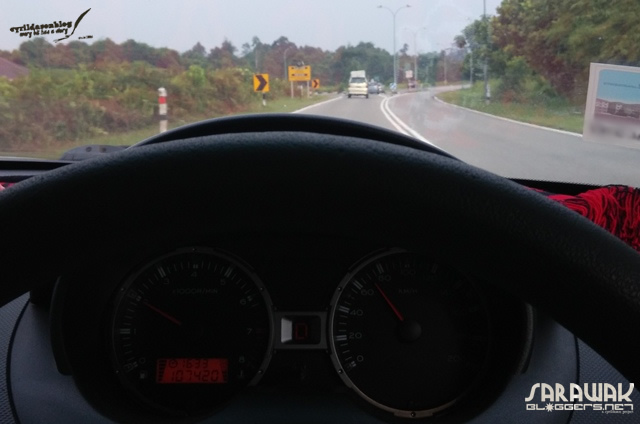 The real destination was Sungai Tujoh Immigration Check Point in Miri, but in order to reach there, you’d need to pass by several towns and cities along the way. You do not really get into the town, but rather just past it by. For Sibu, I took the Durin bridge route, passing by Sibu Jaya without entering the main city itself as navigating through the town can be very confusing. We didn’t also go into Bintulu since the route to Miri was before the town itself. The journey itself is abut 488km, hence making refueling at Bintulu essential. For first timers, you need not head into Bintulu town to refuel as there is one Petronas station after the Kemena River (A few kilometers to the Bintulu-Miri junction). We arrived in Miri abit over 3PM, and continued our journey to the Sungai Tujoh check point before entering Brunei to continue our journey. In Miri, it is advisable to refuel yet again (Best to be done at the Shell Station at Permyjaya area), and grab lunch because there could be plenty of things happening while you are on your way from Miri to Limbang. We weren’t aware that crossing Miri to Limbang would take so long (we assumed it’s only two to three hours or so, and paid dearly for that assumption). You will be required to pay a toll fee of RM10 before you enter Brunei, so prepare some cash. 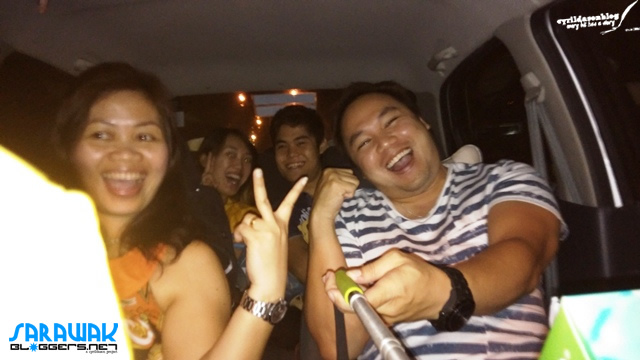 We entered Brunei with little hassle and everything looked smooth with the whole trip. Before you drive in Brunei however, you are required to produce your international passport and fill up a form which requires you to declare your car’s chassis number and insurance details. 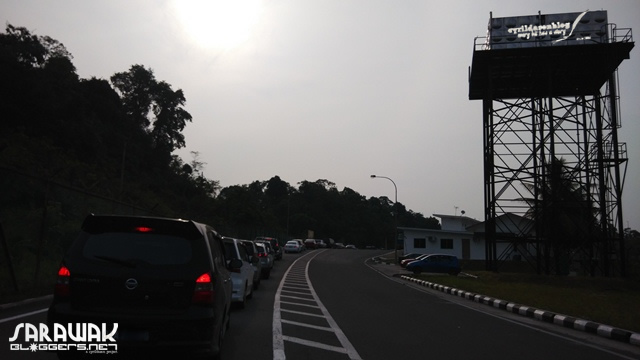 The queue at the Sungai Tujoh Immigration check point was short, and the one owned by Brunei at Kuala Belait was equally short as well. That meant we were already in Brunei at about 4PM, hence making it near to possible to reach KK around 10PM, if time on previous reviews were to be used. 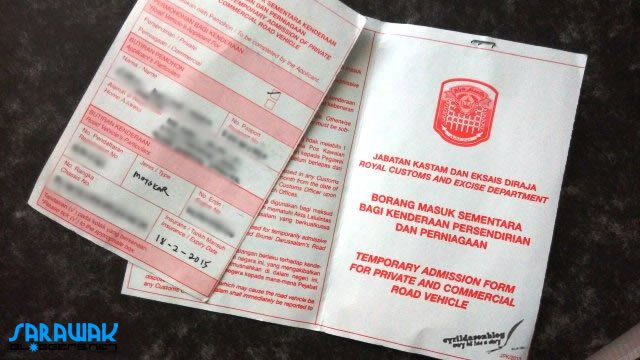 Before you ride further into Brunei, a fee of RM10 (or Brunei Dollar 3) would be imposed at a toll booth just after the Kuala Belait Immigration Check Point. A form you need to fill before driving into Brunei with a foreign registered car. The form is valid for a month. As per advised by many others, we adhered to the speed limit in Brunei due to fear that we would get fined for speeding, although it did seem that Brunei registered cars were zooming pass us at unbelievable speeds! It was only later that I was told by Marg (blogger based in Brunei) that speed traps in Brunei are unlike their Malaysian counterparts, in which Brunei patrol cars would actually flag you off and perhaps give you chase if you go over the speed limit. Well, since we were only doing 65km/h, and sometimes able to speed up to 100km/h, the journey to Kuala Lurah, which is the next Immigration Check-Point, took us over two hours, hence arrival at the check point a bit over 6PM. The time was also due to us relying on a map found by my wife which showed us the so called ‘adventurous route’. The map, although accurate, caused us to lose more time since we had to stop and ask around for directions. That said, I’d highly suggest you stay on the highway, and drive yourself straight to Kuala Lurah although the intersection where you need to slide in to reach Kuala Lurah can make you lose your way, leaving you deep in Brunei. I will not provide you the map since I didn’t use this route and am not familiar with it. (I did ask a friendly Brunei man who happens to be standing by the roadside, and even he said it was very confusing to explain). The tricky part is actually changing highways because signage is pretty poor in Brunei for roads leading to Kuala Lurah. That said, below is a map I used (not using the highway) to get to the Kuala Lurah Immigration Check-Point. The map will guide you through Brunei, and to the Kuala Lurah Immigration Check-Point via a shorter, but ‘kampung style’ road. For ease of navigating, I’ve enhanced a few parts of the map, and combined the map. The map which exist since 2011, and still usable until now. Taken off BumiSepi.com and enhanced. CLICK to enlarge. I strongly advice you to save the map above because in Brunei, you won’t get any Malaysian data coverage, so they would be no GPS for you. If you do follow the map above like I did, chances are, you might still need to stop for directions at junctions because, uhh.. well, signage is close to non-existent, and you’ll be relying on landmarks which could change over time. A 3KM traffic stall at Kuala Lurah check point from 6PM to 9PM. At the Kuala Lurah Immigration Check-Point, we were stalled for a good three hours with traffic non-moving for a good 3km before the check point. 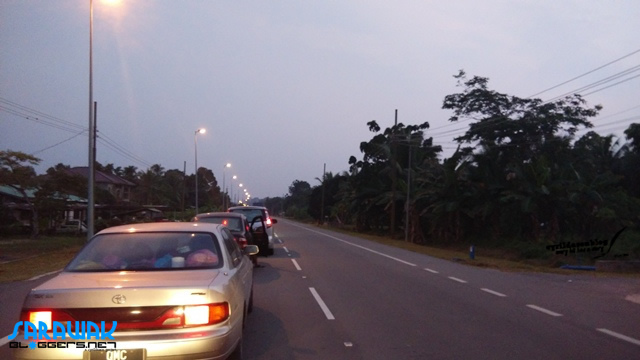 We believe it was due to the check-point being closed (due to breaking fast time), but we can’t be sure until today. 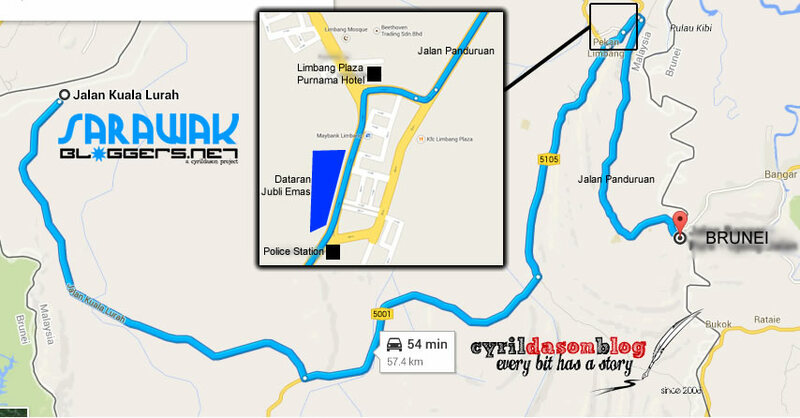 Route in Limbang to Pandaruan Check-Point. Be wary when navigating the Limbang Town as it can still be confusing. 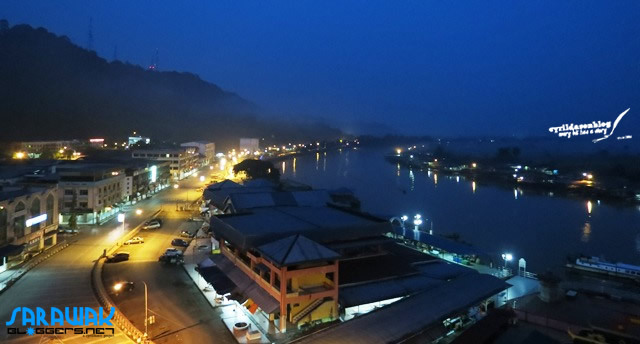 Purnama Hotel Limbang offers you basic amenities with a great reception. The furniture is a little bit dated, but it has a great view of the Limbang River. Beds were quite hard, but since we were really tired, we slept upon impact on the pillows. 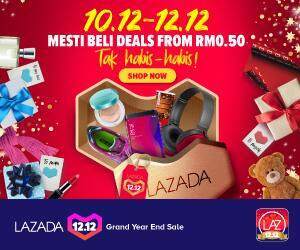 Expect to pay RM140 for a twin share room here. Early the next morning, we started our journey after breakfast to the Pandaruan Check-Point, went through the Pandaruan and later the Puni Immigration Post in Brunei, and breezed our way to the Temburung/Labu Immigration Post in Brunei. The journey was straight forward in Brunei with signage well directing you to Temburung/Labu Immigration Post. Temburung Immigration Check Point. A decent queue. After the Temburung/Labu Immigration Post, we went straight to the Merapok/Sindumin Immigration post (Sabah border) and arrived at Sabah at about 10AM. After nearly 20 hours on the road, the joy of finally seeing signs to KK were greeted with much relieve. 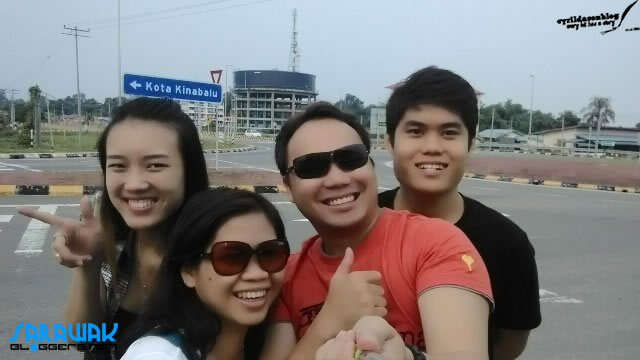 Taken just after the Septiang/Sindumin Sabah Check-Point. Relieved to be finally a few more hours to our destination. Heading to KK was so much easier as signage was placed at almost every junction. However, it would be good to note that you need to head to Sindumin (where the Sabah Immigration Post is located), before heading to Sipitang, Beaufort, Papar, Lok Kawi and Putatan before arriving at KK. Keep your eyes on signboards to ensure you do not get lost. Suggested places to refuel: See main image below. Well, to be honest, the journey was tiring and I had already made up my mind upon reaching KK that this will be the first and last journey by car to KK, unless I am given a good one week to drive. 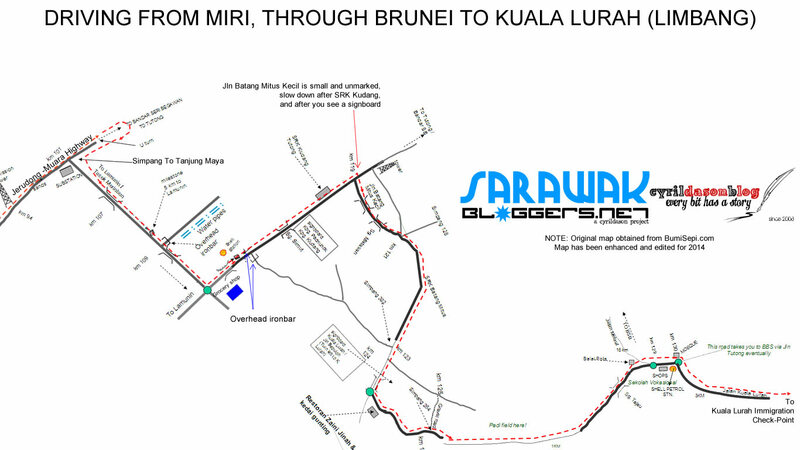 Stops in Miri are also essential for rest because there is no way you can make it to KK within 24 hours, although you do start early. Petrol stations along the way only open at 6AM, and start closing at 8:30PM, which means you have only about 15 hours to drive. On top of that, the immigration check-points are unpredictable and may cause you further delay if you are unlucky. They also only operate up to 10PM, so if you are still far far away by 9PM, its best to just stop at the nearest town to relax. High-powered motorcycles I understand could do the journey in 24-hours, but it is my belief that they gain plenty of advantage when it comes to the immigration check-points. With the trans-Borneo highway trip done for now, it’s time to enjoy Sabah for the next 48 hours, and that would be mentioned in Part 2 BorneoByRoad! Interesting journey. Look forward on second part.